Kuritsa nie ptitsa, Mongolia nie za granitsa was a popular saying in Soviet times, referring to the fact that Mongolia may lie outside of the Soviet Union’s borders, but there wasn’t a great deal of difference from what lay inside. In fact, had it not been for the dogged resistance of the pro-Stalin, yet Mongolian nationalist General Choibalsan shortly after the Second World War, the Soviet Union could easily have acquired a 16th republic. Closed to much of the world for the majority of the 20th century, Mongolia’s doors are now open to tourists of all descriptions. Arriving in Mongolia isn’t so much as visiting a different country, but rather a different century. Sure, the capital Ulan Bator, built with considerable help from its northern neighbor is relatively developed but the remainder of the country appears to be stuck in a nomadic time warp. Not that this seems to bother your average Mongolian, who contentedly goes about his everyday business in the same way as his ancestors have for generations, yet after the fall of communism foreign consultants immediately stepped in and declared the country one of the world’s poorest. In GDP terms they might be right, but this is no Calcutta. 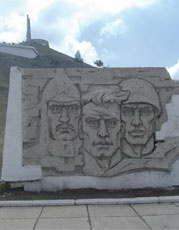 Ulan Bator, which means Red Hero in Mongolian, has a Soviet/Central Asian feel to it, welcoming yet rough around the edges – commercially developing but at the same time not being able to decide whether it should stick to the cultural traditions of centuries gone by or make the complete leap into the modern world. UB, as expatriate residents and cool, Englishspeaking locals refer to it, is often quoted in pub quizzes as being the world’s coldest capital and having more bars per capita than anywhere else on the planet. Yet given that temperatures can drop to -30C in winter months for weeks on end, I’ll personally give the beer gardens a miss! Too many tourists arriving into Mongolia by air are so keen to hit the steppes that they overlook UB altogether which is a shame – there’s plenty to occupy almost all tastes for a couple of days, despite the Communists’ best efforts to destroy all traces of the underlying Buddhist culture. But you’ll only see the real Mongolia once you leave UB’s concrete jungle and get out into the open. Three times the size of France with a population of under 2 million, stating that Mongolia is sparse is a bit like saying that China is populous. You can drive for hours through the countryside without seeing any sign of human activity, until somewhere in the distance you spot a ger or two, a white blob on the horizon. Around half of all Mongolians live in gers, their term for a yurt – the main diff erence being that the Kazakh/Kyrgyz variety of a yurt tends to be a much more temporary (i.e. summer) dwelling, whereas out here, a ger is a home. Half a day’s drive southwest from the centrally located UB is the ancient capital of Kharkhorin, built back in the days when Genghis Khan ran a kingdom that at its peak was larger than the entire British Empire. Nothing remains of it, but the nearby Erdene Zuu monastery – Mongolia’s oldest – has been rebuilt and whilst it may not rival Lhasa, it is a welcome break from the nothingness of the steppe. Another of Mongolia’s boasts is that you can travel from one end of the country to the other without ever seeing a fence! Another worthwhile visit is to the Khustain Nuruu National Park which proudly displays the only wild horses in the world, the Takhi, or Przewalsi’s horse, named after the Polish soldier in the Russian army who discovered them back in the 1880s. It’s a bit of a trek, again into the middle of nowhere, (Mongolians aren’t big on signposts) but impressive to see these animals in their natural habitat, although we were warned not to get too close – after all, they are wild! Overnight accommodation is in a ger camp (hotels on the steppe? – dream on!) which despite being built for tourists are definitely a step up from a kommunalka. 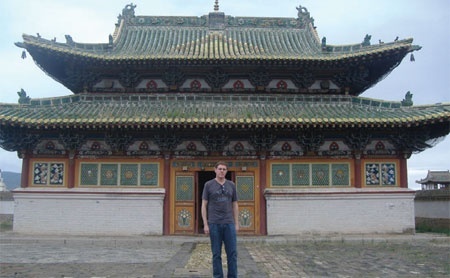 To ‘do’ Mongolia properly you need several months, not a pitiful few days, although do expect to bump into numerous alternative types from your homeland who have come to weave carpets and try to blend in and become Mongolian. But fortunately there’s no shortage of space to create your own itinerary and do your own thing - make Mongolia whatever you want it to be for you and be ready for something you won’t experience anywhere else. Aerofl ot flies 3 times a week from Moscow to Ulan Bator, leaving in the evening and arriving early the following morning. Apparently MIAT also covers this route twice a week, and then on to Berlin, although the Mongolian state airline hasn’t been nicknamed ‘Maybe I Arrive Today’ for nothing – although I can’t speak from experience. Both airlines also fly from Irkutsk to Ulan Bator in case you’re interested. If you don’t trust these two carriers with their aging fl eet then book yourself on the Trans-Mongolian train; it’s a mere five days from Moscow to Ulan Bator, but the scenery is great, and you can then carry on to Beijing. Everyone needs a visa, but they can now be obtained with a minimum of fuss. 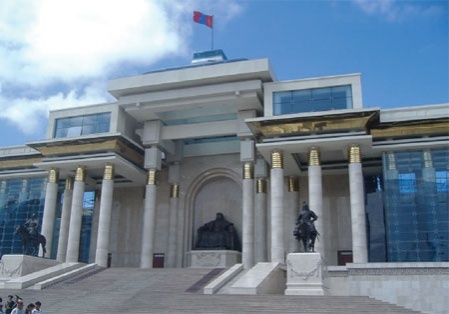 A letter from any accredited tour agency will do, (I booked mine through Skyland Tour – www.mongolievoyage.com and they were extremely efficient with organizing everything). I got my visa in a day from the Mongolian Embassy near metro station Smolenskaya and it cost me $25. Call them on +7 495 290 67 92 – Borisoglebsky Pereulok 11. 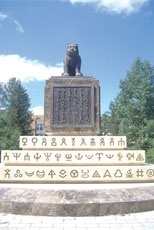 Mongolian – the official language – is written in Cyrillic (with three additional letters) so if you know Russian you can at least read it but that doesn’t mean you’ll actually understand anything. However, in Ulan Bator many young people, thanks to a plethora of NGOs, missionary groups and travelers, can speak English. Some of the older generation (i.e. taxi drivers & airport staff) know Russian. Once outside the city boundaries you can either learn the local lingo or point & smile.